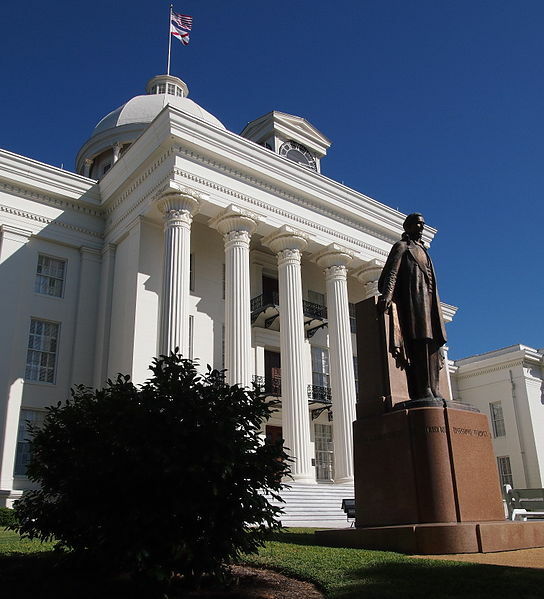 I figure we hang around virtual Alabama a bit, also known as the “Heart of Dixie, “The Cotton State” or “The Yellowhammer State” and, if you are at all curious about the capital to this twenty-second state, it is . . . So, when it is cold outside, how wonderful would it be to have some delicious, hot, traditional peanuts…Alabama style! Hot Peanut 115-Year-Old Tradition…Alabama style. Now, over at History.com, an interesting fact listed Alabama as the first state to legalize Christmas as holiday back in 1836 . Well, I’m thinking if that one extravagant, luxuries day – where one could afford anything – ever materialized as suggested by Daily Post, Feeling Fancy prompt, I say we serve free Christmas Day gourmet dinners to those unfortunate ones unable to afford expensive holiday dishes and give away as gifts, the famous Alabama Lane Cakes. Personally, I have not tasted this cake but the ingredients sure sounds tasty. Alabamian, Emma Rylander Lane, invented the layered, bourbon-laden cake for a county fair and won first prize which explains its name, Lane or Prize Cake. Emma featured her Prize cake recipe in her self-published cookbook, “Some Good Things to Eat” in 1898. It’s been awhile since I’ve read, To Kill a Mockingbird by Harper Lee. Hmm, sounds like a good book to revisit this weekend…anyway, author Harper Lee mentions the Lane cake baked with pride by Miss Maudie Atkinson, a neighbor to the main character and narrator of the story, six-year-old Scout Finch. Finding every chance to serve up her famous Lane cake, Miss Maudie, with a streak of jealousy while staying with a gossipy neighbor, Stephanie Crawford, decided to bake a thank-you cake for an injured man, Mr.Avery, who had helped put out Miss Maudie’s house fire.
. . . And, before we run off with the weekend, Lane cake and To Kill a Mockingbird book in hand, a little dance and song with David Bowie, shall we? The cake look very low calorie! Love the regional tidbits … and hey hey .. .my holiday party is this weekend, so hope you can stop by … and your readers are welcome as well. Starts early (3 am Sat) and continues most of Sunday. a cake with bourbon can only be heavenly! and hey now, i’m looking forward to your holiday party, Frank. wow, three a.m. sounds very early…okay, i’ll be in the late bird arrival group. laughing. Early state for the other continents … and I’ll be sleeping at that time. remember my Mom talking or maybe even baking “Lane Cake”…Now I now the history …I loved your Variety post! if you remember how the Lane cake tasted, Marilyn, you’ll definitely need to share your thoughts. 🙂 it sounds so delicious but even the updated simple recipe versions look very time consuming. maybe one day a restaurant or baker will feature it. 🙂 happy weekend! Cake (drool) oh, sorry it looks so good. Thanks for the Bama education! I’ve never eaten boiled peanuts. I’ll try. Merry Christmas, Sun!